HPE6-A41exam is specifically set for the Aruba certification. It is administered at the Pearson VUE exam centers where the candidate takes the online proctored exam monitored by a proctor. HPE6-A41 exam validates the candidate with the techniques on the design, deployment, and management of HPE products as well as solutions. The certification allows the candidates to bring enormous impacts to the society because it shows that an individual has the skills required for a specific task. The candidate is required to have had an experience in the virtual lab and participation in various activities with respect to the skills being evaluated. The learning of the respective course has all that a candidate needs to successfully receive a certification. The exam is a proctored type administered by a proctor. It is conducted for 1 hour 55 minutes. The number of questions a candidate should expect is sixty. It is delivered in English and Japanese languages. It might also consist of the complex graphical representation of data tested in the exam. The exam might also include a task like the virtual lab that the candidate is needed to have hands on. The testing is professionally designed to cover all the contents available at the curriculum content of the respective course to this exam. The candidate core business is to go through the materials necessary for the validation of this certification. This certification exam is structured to enhance the ability to describe and implement the networking infrastructure and technologies. This will include the clear description of Layer 2 components and its domains. Coincidentally, the candidate will be able to administer the installation and configuration of Aruba network system. This involves the core distinction of the ArubaOS, settings, switches, and access to the management of the system. Lastly, optimization and upgrade of Aruba networking platform to meet the requirements of a given category of people. The candidate will have the ability to administer the overall tasks available on the ArubaOS upon the certification. The candidate doing this exam is required to have the knowledge of networking topologies and architecture because the concepts tested involve the basic understanding of the networking techniques. The ideal individual taking this exam should have the ability to validate and secure wired as well as a wireless network using ArubaOS switches, IAPs, and CLI. He/she may be required to elaborate a clear understanding of the concepts. The targeted candidate for this course is a professional who has been in the field for a period not less than six months regardless of the network deployment level. The candidate must also showcase his/her knowledge on the wired technologies applied in edge or simple core network environments. 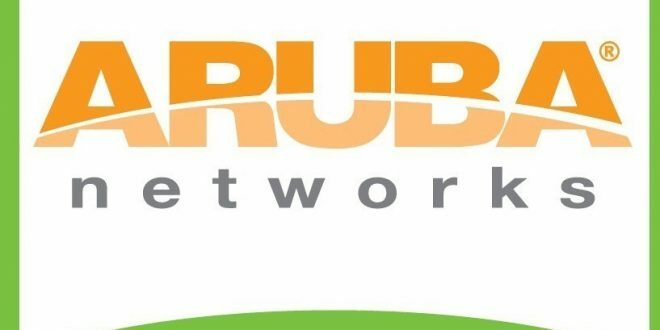 It facilitates one to be a trusted member of Aruba which participates in the design, management, and deployment of Aruba solutions which are key to simplifying the obstacles discovered daily in networking arena. The candidate will be able to advance his/her skills as a certified associate in Aruba applications which enhances mobility within a given network system. They are expected to appreciate this technical certification by participating in various successful jobs that aim at simplifying the complex as far as Aruba is a concern. The first thing is to learn about the format of the exam you are preparing for, the exam format will help you know how you can revise based on the types of questions you will encounter. Performance does not depend on the time you utilize your memory rather depends on how you utilize it. Have memory testing to see if you can remember the concepts learned. Do not study at one place for a long time. Change the environment to avoid the monotony of having the same components around you. This can force your brain to connect the ideas effectively. Let your study be divided into such portions that you can do a specific thing at a time. The mind will be set to do a particular thing rather than rushing into concepts that we had not planned for. It is necessary to set a goal to hit at a particular instance. The goal should be easily achievable in order to avoid inconvenience in your learning. It is important to know the format of the exam before attempting. You might have prepared for a multiple choice instead of a matching exam. The incorrect preparation can make one to terribly fail. I did a retake for this certification because I did not familiarize myself with the exam questions. Since I knew where I messed I had to do a retake and prove to the institution that I had the ability to pass the exam. Training courses for this certification have been made available to ensure that the learners are duly equipped with the skills to pass HPE6-A41 exam. It is recommended to candidates to take the instructor-led training because they are very elaborative. HPE6-A41 exam covers the recently updated features that are applicable in the real world entities. The concepts tested in the exam addresses the 21st-century problems using the digital skills. It is opens up the mind that one can explore the opportunities that are conceived daily by the growing technology.